Hi Adi, Thanks for your patience and for your application for EIB! CRL and EIB Application Requirements: All required photos have been submitted and on behalf of the entire D.O Staff Welcome to the rank of Expert Infantry. Congratulations! Armor Fit / Assembly: In this are we review observations made by your fellow troopers and DO team. Some observations may lead to suggestions to improve the overall look of your armor. Let's start with your helmet and work our way down shall we? Nice work on cleaning up the frown area, I know it’s a small detail but it makes a huge difference. Also great job on outlining the Vocoder really well defined. (only difference is screen-used did use a satin black.) Onto the brow,while this is a personal preference it looks as if you could raise it a bit, this could just be a little shifting from taken it on & off. Reference Photo Let’s take a look at the lower ear screws, you can see in the reference photo that the bottom ear screw is borderline not visible / just outside of the gasket material. Looks as if you could drop yours a little lower. Reference Photo Great job on the outline of the vocoder & hovi tips!! Next we take a look at the alignment of your armor and this could simply be movement while getting ready for photos. Just being mindful of checking that your cover strips are aligned. Check the length of your interior shoulder straps as it looks as if its causing your molded shoulder straps to be misaligned. If the interior straps are the same you can cut the large tab from the back to even them up. Reference Photo Onto your abdomen area, Take a look at the screen grab Ab button plates and your notice the size difference. Per the CRL “Abdominal buttons are approximately 7/16” (11mm) in diameter.” Reference Photo And it looks like you could bring up your belt a little bit, notice how high it rides in the screen grab compared to yours. Lastly, I know you’ve discussed this at length with your fellow troopers, It looks as if you adjust the belts outlined you should be able to close the gap between your posterior / kidney armor. Reference Photo Centurion Requirements; In this section we prepare you for Centurion. Because Centurion photos show more detail than EIB, items pertaining to Centurion might be seen there and not here and additional photos may be required. We try to point out all that we can see, but the final accuracy is the responsibility of the trooper. Overall you’ve done a great job constructing your armor but the one area that I feel needs addressing is the size of your forearms,as per the CRL “Requirements for all 501st costumes are proportional to the wearer in scale, fit and size.” This should be an easy fix and if you used E6000 as the cover strips should come off relatively easy. I would suggest you trim about 3/16 of an inch or about 4mm per side and check the fit and adjust as needed. Just remember to go in small increments so you don’t trim off to much, Reference Photo A couple things with your abdomen to kidney armor. per the CRL “Ideally there no gap between the abdomen and kidney armor. A single visible seam line is present.” Looks as if you used elastic strapping on the ab rivets and the one thing you can do to help the rivets stop from pulling out of the straps is to fold over the ends about 6mm and add a flat washer. I would also add that the nylon strap will help keep that gap closed as it has almost no give. Reference Photo Lastly I would point out the shoulder bells and I honestly think this was from moving around before you took the photos. Per CRL “There should be a minimal gap between the shoulder armor and the chest/back plates.” Reference Photo Again congratulations on a great build and welcome to the ranks of EIB. We hope to see you take that next step towards Centurion in the not so distant future. Thank you for the quick response Adi! I'll get back to you shortly! Adi, The only photo I'm going to request before moving forward is the left side ab details showing the rivets please. Hi Adi, Thank you for your patience & I'll apologize for the delay. It looks like you've gotten some great advice from your fellow troopers. I will start going through the requirement to make sure we have everything we need and I'll get back to you shortly! Thank again! Hi Dane, welcome to FISD looks like everyone’s pointing you in the right direction, an like Ben has said make sure you sign up on fl501st.com or if you plan on going to MegaCon stop by and introduce yourself, I’ll be trooping on Saturday! Welcome Brian to the FISD! If you have'nt found it yet I would check out our Getting Started Page You'll find everything from supply list,check list and some great build threads and also what it takes to take your armor to the next level. Good luck in your journey. Welcome Rob! Like all have said before me you'll find a ton of information here and the first cut is the hardest. I remember starting with the hand guards thinking worst case is I can easily get a set of silicone ones. And I would also suggest studying ukswrath Anovos build You'll find 99.99999% of us refer to his highly detailed build threads. Any questions start a build thread so you'll be able to post photos and ask as they arise! Best of luck on your journey. Hi Colin, Thanks for your patience, looks as if @gmrhodes13 has given you some great advise and he is correct when saying the Thermal Detonator screws will need to be change out before we can continue. Per our CRL Level two certification (if applicable): Clips shall be attached with slotted, pan head style screws, and be black (two per clip). And We also need you to trim the bottom of the cover strips on your thighs as they shouldn't go below the ridges And lastly if you could also post a picture of the D ring on the back of your blaster I'd appreciate it. Welcome to the FISD Dakota! Like my fellow troopers above have said If you haven done so I would start by reading this section here! You’ll find just about everything you think of when it comes to getting started and your armor needs! 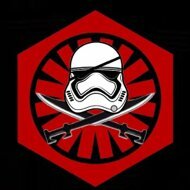 You'll also find our fellow trooper justjoseph63 has put together a great and very useful checklist of what you’ll need other then that amazing white shiny stuff. I found that personally it came in extremely helpful for my build. Once that has been all decided upon then I would dive into our EIB / Centurion sections and find out which a little extra effort you can get on screen accuracy. Hope that helps point you in the right direction, I know its a ton of information and a good size financial commitment so if any other questions come up feel free to ask. Its why we’re here “ Troopers helping Troopers” Best of luck in your journey. Thanks again for your quick responses Josh & Welcome to EIB! Hi Colin, Thanks you for you application for EIB. Like your other troopers have stated your missing a few photos that we require. The easiest way is like gmrhodes has described above. i personally use Imgur, its easy and free. How to post with imgur I've also added a copy of the EIB Photo Checklist. Once we have everything in place we can move forward. Hi Josh Thanks for your patience and for your application for EIB! CRL and EIB Application Requirements; All required photos have been submitted and on behalf of the entire D.O Staff Welcome to the rank of Expert Infantry. Congratulations! Armor Fit / Assembly; In this are we review observations made by your fellow troopers and DO team. Some observations may lead to suggestions to improve the overall look of your armor. Great job on taking the initiative and really jumping on on all of the suggestions from your fellow troopers who have made this journey before, from cleaning up the paint from the frown down and adding some white to the Hovi tips. And like Sha Sha has stated, you being my first application I was probably a little to thorough but that should give you a head start with Centurion. if you choose to take it to that level. ﻿ Chest & Ab Section Really clean build, I like to measure a build with what the public doesn't see and the interior of your midsection really shines through, I like the way you did the interior strapping with combining the original bracket style with the security of some snaps. And the before and after photo of the button detail on the abs shows what a difference maybe an ⅛ of an inch can make. And nice job on taking your fellow troopers advice on the drop boxes. The last thing I would suggest is your left forearm is a bit long or your bicep could come up a bit so it’s not touching the hand plates While this won’t hold you back, it looks as if your shins could have a little tighter / more taper to them. Take a look at the attached photo and you can see the difference and it will really take your kit looking like you just walked off the screen.﻿ Centurion Requirements; In this section we prepare you for Centurion. Because Centurion photos show more detail than EIB, items pertaining to Centurion might be seen here and not here and additional photos may be required. We try to point out all that we can see, but the final accuracy is the responibility of the trooper. Helmet; The lower screws in your helmet will need to be changed out to a flat head style screw pictured below. (This is a common issue with Anovos Helmets) Ear screws shall be slotted, flat topped, countersunk and painted white. Shoulders; This should be a quick fix, looking at your white shoulder strapping it looks as if you have the snaps attached towards the outside edge. Attaching them on the opposite sides should take care of this. you can also cut the return edge shown as well and that should take care of it. (I would do one at a time and check the fit) There should be a minimal gap between the shoulder armor and the chest/back plates. Congratulations Trooper & Hope to see you move to Centurion!